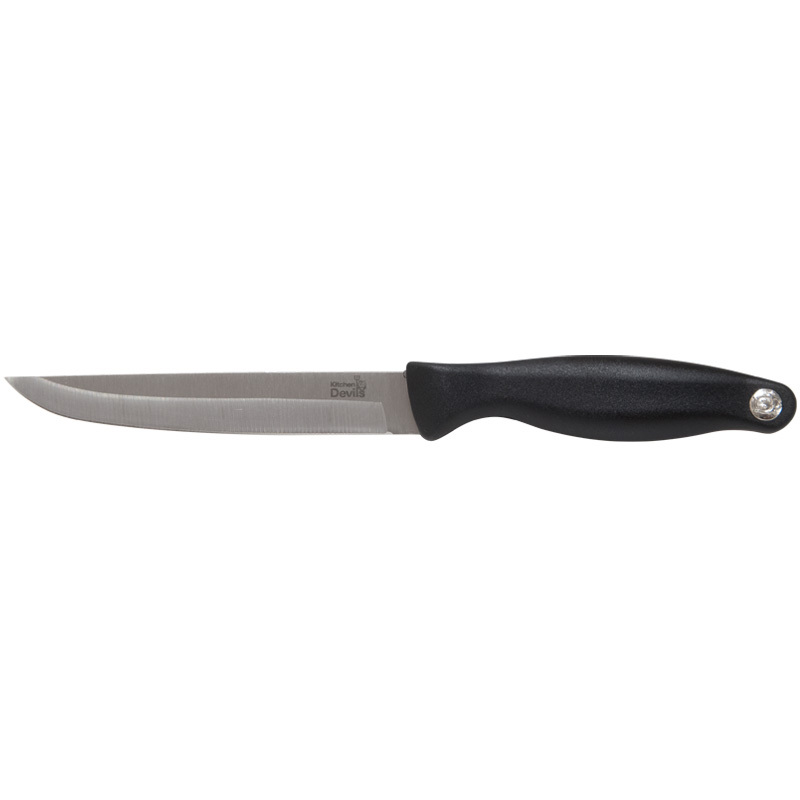 An extremely versatile knife ideal for slicing and peeling large vegetables and fruit. Comfortable hygienic moulded polypropylene handles give optimum balance and a secure safe grip. The super sharp high quality blade is made from stainless steel for long-lasting Sharpness. 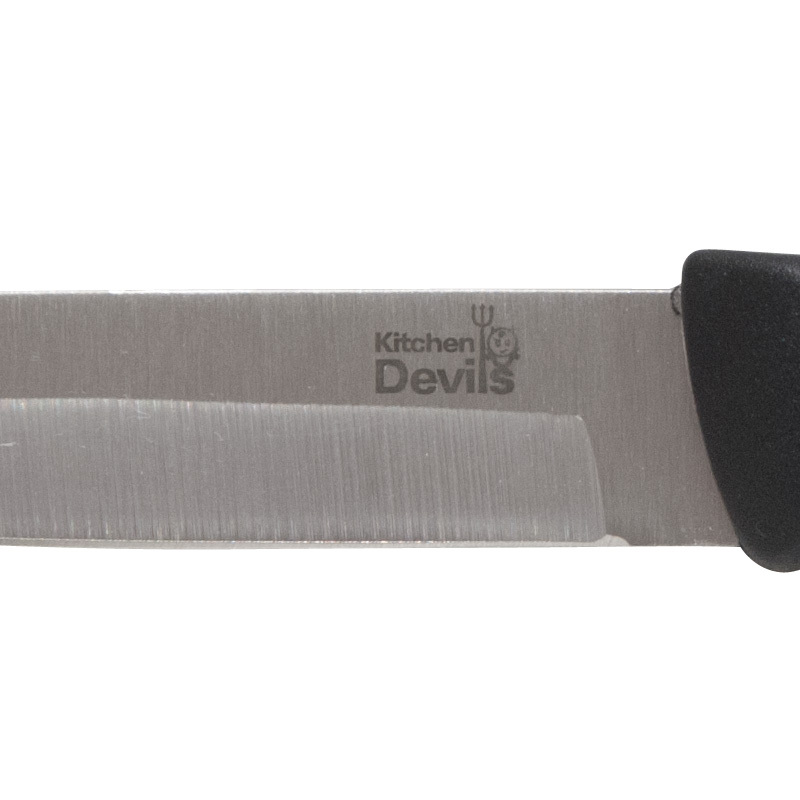 Kitchen Devils knives are fully guaranteed for 25 years against defects from faulty materials or workmanship. 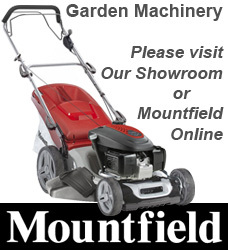 This guarantee applies whether you buy the product for yourself or receive it as a gift. This guarantee does not affect your statutory rights. To maintain the sharp edge of the blade sharpen the knife a little and often with a sharpening steel or a knife sharpener from the kitchen Devils range. Avoid contact with metal or ceramic surfaces and store in a knife block or on a rack. 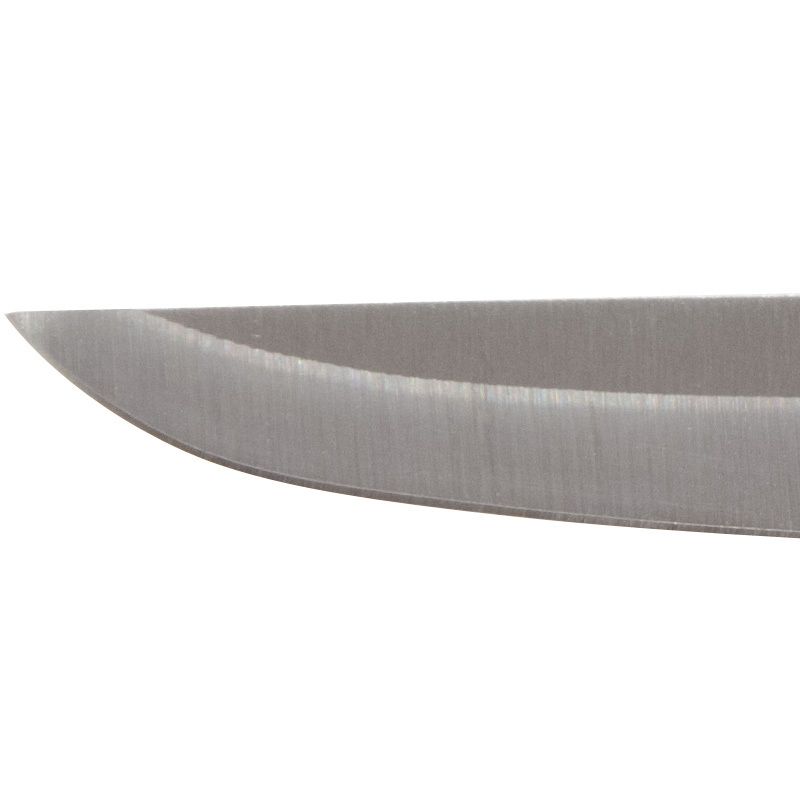 Serrated or scalloped edge knives should not be sharpened. Kitchen Devils knives are dishwasher safe. However as with all good quality equipment it is recommended that you remove your knives from the dishwasher and dry them carefully as soon as the washing is over.